What does every gal want for Mother’s Day? A book about wild edibles, you say? Why yes. Let’s just say it wasn’t high on the list, but I did enjoy looking through it. With 40 acres, there must be something that can be foraged and eaten. Jump forward a few weeks and I was weeding our behemoth garden and thought that I recognized some of the stuff I was pulling up. Yep, Sheep Sorrel. It has the taste of tart apple. 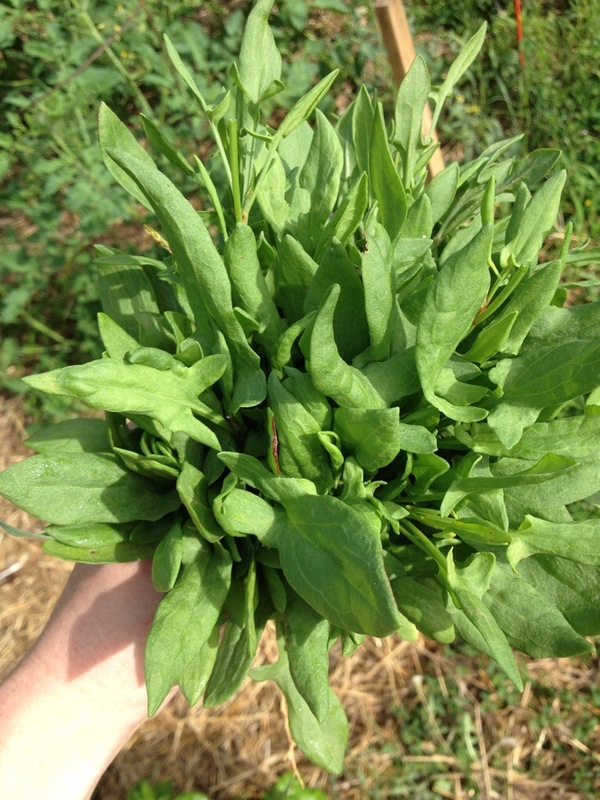 So, what to do with Sheep Sorrel? 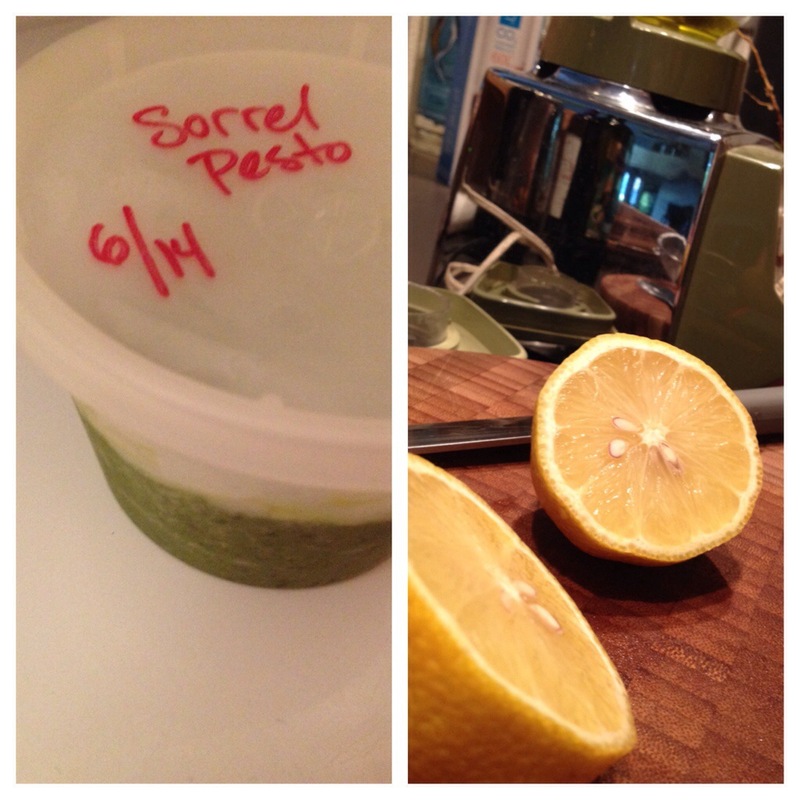 Some sorrel pesto! Sorrel, basil, olive oil, garlic, walnuts and lemon. Blend it, freeze it. Yum!